David A. Love is a journalist and commentator who writes investigative stories and op-eds on a variety of issues, including politics, social justice, human rights, race, criminal justice and inequality. 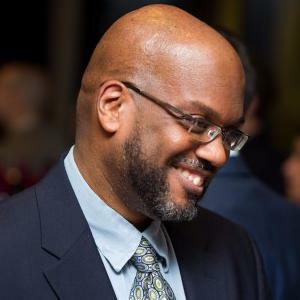 He is a writer for theGrio, CNN, Atlanta Black Star, Al Jazeera, NewsWorks, The Progressive and BlackCommentator.com. Love is also an adjunct instructor at the Rutgers School of Communication and Information, where he trains students in a social justice journalism lab, and edits and publishes student work for the online publication NJ Spark. Recently, Mr. Love was on our show talking about his article Why the black press is more relevant than ever.